34 Quai Jean-Charles Rey, MC-98000, Monaco. 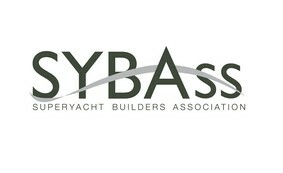 The Superyacht Builders Association (SYBAss) was set up to represent large yacht builders in a constantly changing world. SYBAss ensures that the interests of superyacht builders are given the priority they deserve. Activities revolve around Promotion - facilitating members in their communication with superyacht owners and the wider industry; Regulation - ensuring that new rules and regulations are also fit for superyachts; Professionalism - structures and processes that help members get more out of their business environment. SYBAss members also initiated a worlwide campaign called The Superyacht Life, which is aimed at promoting the ultimate lifestyle superyachts facilitate in to those UHNWIs that are yet to be engaged. For more details, please visit our other website at www.thesuperyachtlife.com.